With the cost of higher education spiraling out of control, college planning is one of the most difficult aspects of financial planning. It is difficult for three reasons. First, it is a daunting task because the costs are so high and constantly climbing. Second, there seem to be an endless number of different types of accounts, scholarship opportunities, tax and gift considerations, and loan options that make the process extremely complex and difficult to understand. Third, all the rules and associated strategies keep changing, so a strategy that may make sense at one point may not in the future. Between new parents who have just started a family, clients with children who are approaching college age, and grandparents who want to help the younger generation, we probably get more questions about college planning than anything else. Setting up accounts to save for college. There are many strategies for saving money for college, and each has a different impact with respect to taxes, possible financial aid, and scholarships. Trust accounts, 529 plans, Roth IRAs, students’ personal accounts, and parents’ personal accounts are a few of the ways to pay for college. It is important to recognize that every situation is unique. McRae Capital Management’s advisers can help set up the right accounts for your specific situation. Where to save for college. Different accounts are treated differently in the FASFA process colleges use to demonstrate your need for financial aid. Funds titled directly in the student’s name are viewed differently than assets in a 529 account or a parent’s account. We can help organize your assets in the best way possible for your student and family. Paying for college when the student matriculates. Saving money is only part of the college planning game. Based on your unique situation, how you actually pay the bill when your student starts school can have tax and financial aid ramifications. And how you pay for senior year may be completely different from freshman year. It may make sense to take loans for the early years, and use gifted funds for the later years. Consult a McRae adviser to discuss the advantages and disadvantages of how the bills are actually paid. As we pointed out above, it seems the rules and strategies change rapidly. The escalating costs of college and the mound of student debt the public is accumulating is daily news. There is a lot of pressure to address these issues, and we expect to see new rules and options in the coming months and years. Speak with a McRae adviser to stay current with college planning and investment strategies as they develop. 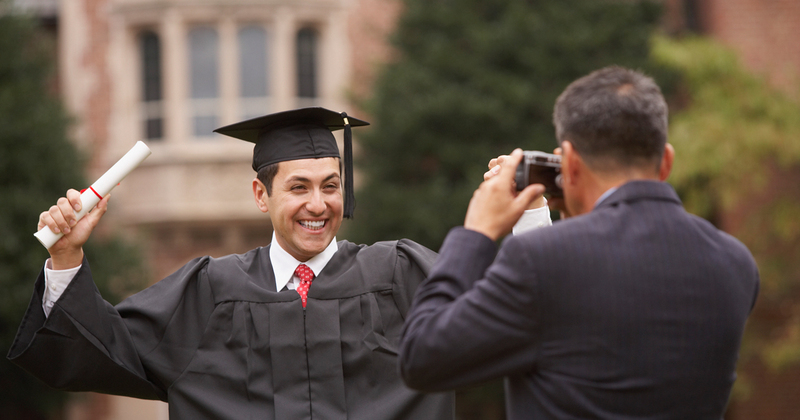 College planning is only one of many life stages where smart financial planning can make a difference. If you’re interested in learning more, please read our Saving for College Commentary.